A game for 1 -4 players. 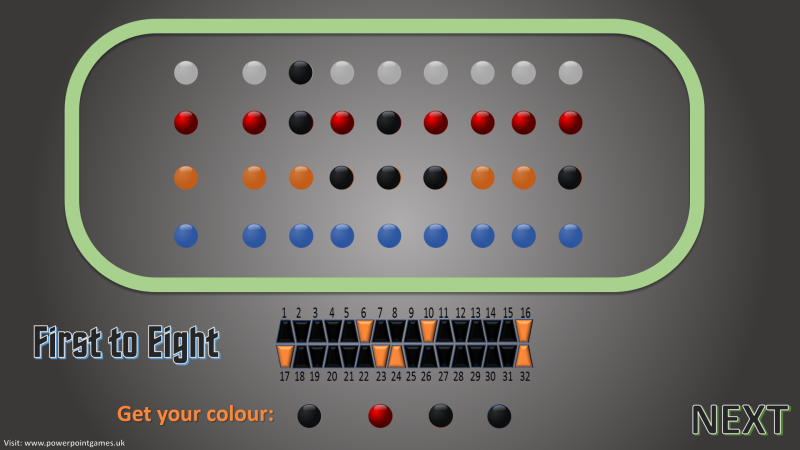 Randomly choose a colour to play, then click on each orange peg to remove a black dot and reveal a coloured dot beneath it. 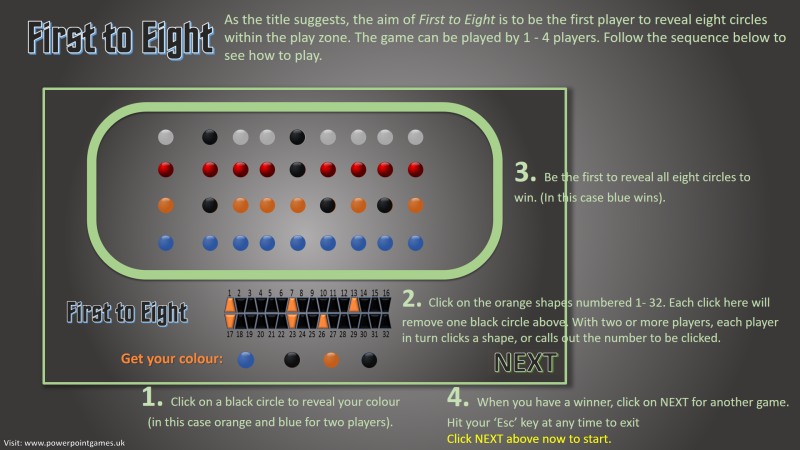 The first player who’s first to have all eight of their coloured dots revealed is the winner. With four players, every player has an equal chance of winning. Fewer than this and the odds get higher.